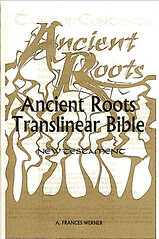 Click here for sample verses from the Ancient Roots Translinear Bible by A. Frances Werner. Comments: Hardcover octavo, adhesive binding, X, 694 & (4) pp. 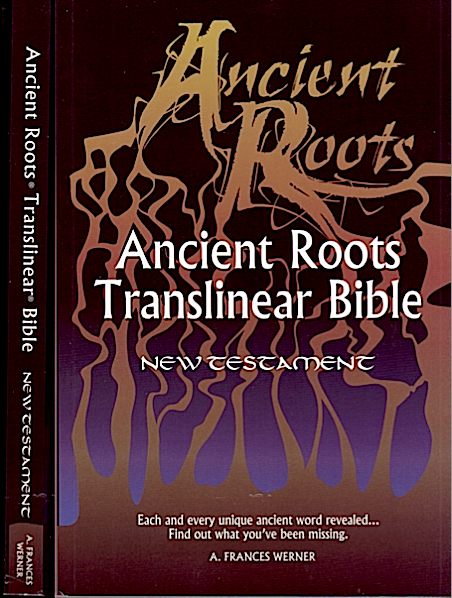 Scripture text in double column, few explantions and cross references in footnotes. Personal- and place names are translated in brackets. The ARTB claims to contain 100% English vocabulary consistency with the Hebrew whereas the KJV has 74%, the NASB 66% and the NIV 53% only. 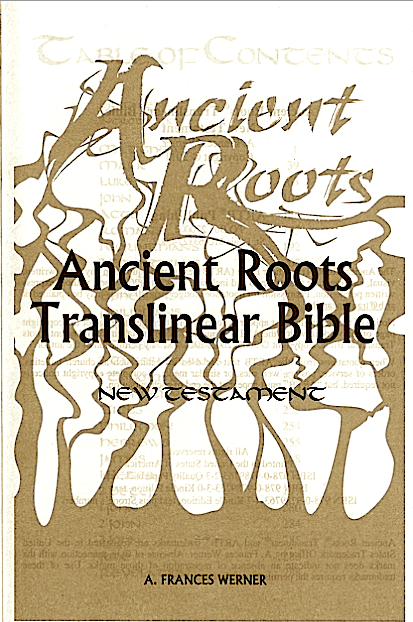 Ms. Werner started the ´Ancient Roots Bible` as a study tool for herself. She considers the ARTB being the word of God, pure, simple, and straightforward, the Old Testament exactly as it was written. 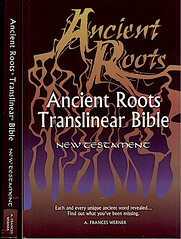 Her special attention is drawn to missing words, extra words and the lack of consistency in other best selling Bibles in regard to the Hebrew, the language she started to learn as a layperson to gain the necessary insights: to be able to “see“ the ancient languages, to “read“ and study them and love them and get goose bumps more often. The ARTB is not quite a word-for-word translation, but efforts have been made to match one English word with one Hebrew and Aramaic. 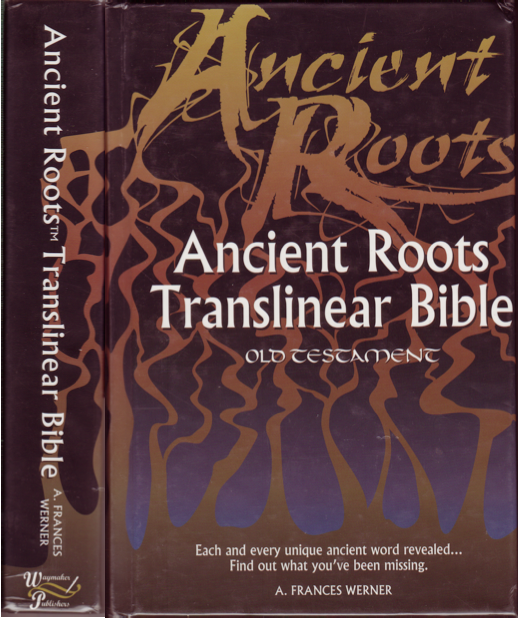 Translinear means that 100% of the ancient words match 100% in a second [English] and additional words are kept to a minimum. With the exception of a handful of original Hebrew words (Shofar, Torah etc. 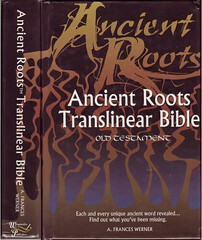 ), typical terms are translated as in most of the other Bible versions as are personal- and place names. Birnbaum's remark: The ARTB is not an “easy to read“ version and it does not convey any kind of poetic or smooth language. It‘ s more of a study tool. Nevertheless some hidden Hebrew puns like e. g. in Gen 2:25 (»arumim«, »naked« Adam & Eve ) and 3:1 (»arum«, the »sly« snake) are not transferred into the English. In Gen 6:7 Werner translates Yahweh‘s words to Cain prior to the slaying of Abel: »„If you do-good, you will not swell. When you do-no good, sin reclines at the opening. Your passion rules you!“ Cain said it to Abel his brother.« Sin‘s desire to master (!) Cain is not mentioned here. Comments: Paperback large octavo, sewn binding; X & 308 pp. 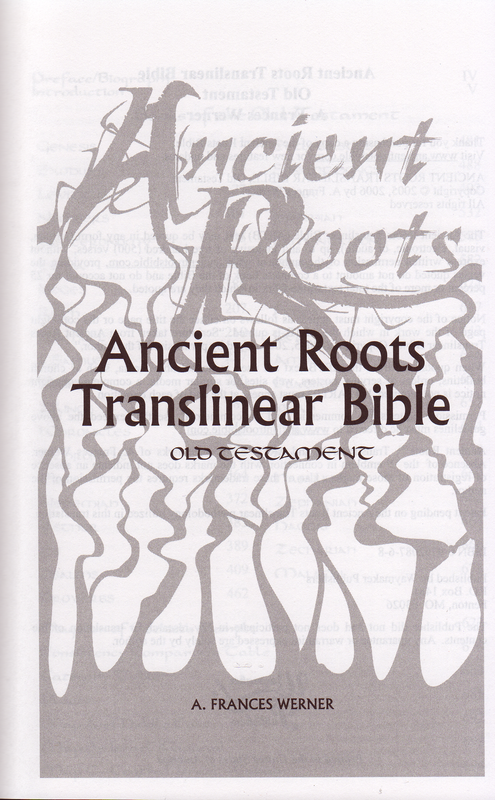 Scripture text in double column, few explanations and cross references in footnotes.